Dark chocolate fudge cake, loaded with chocolate and peanut butter chips, drenched in chocolate ganache, and melted peanut butter! 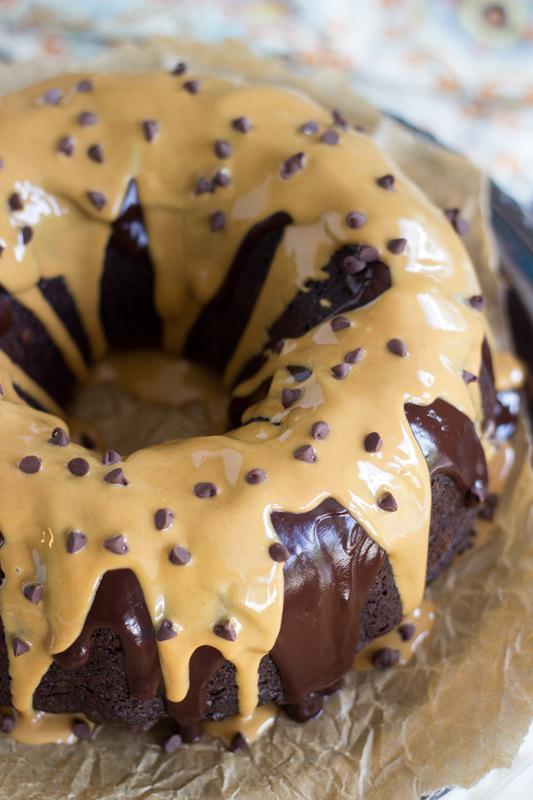 This Easiest Dark Chocolate Peanut Butter Bundt Cake is a show-stopper, but a total cinch! 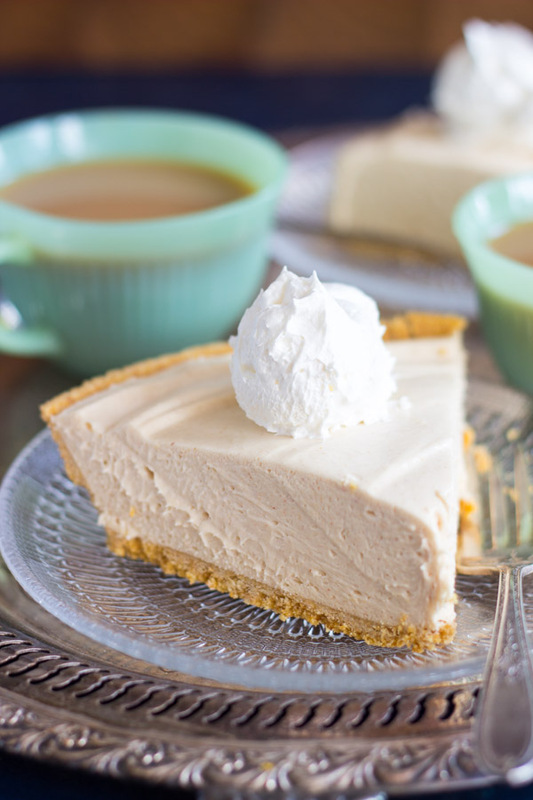 To easily view all the blog recipes, follow along on Pinterest!! 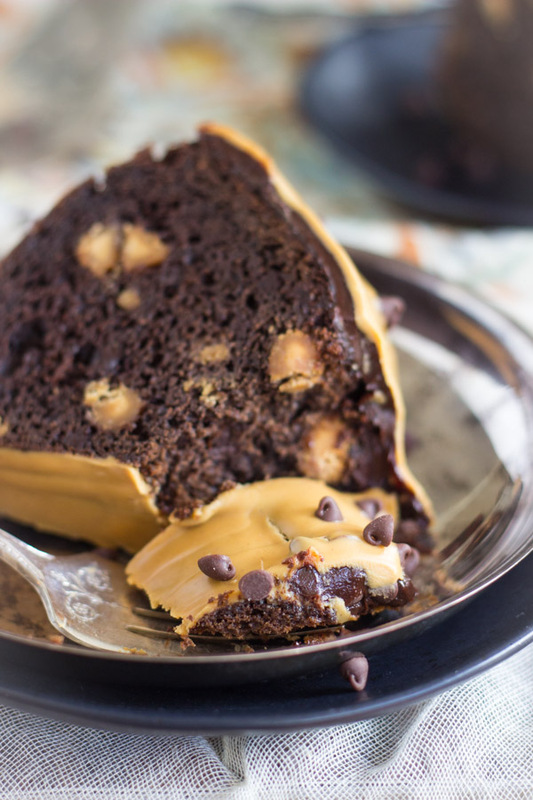 It took me 6 minutes to get this Dark Chocolate Peanut Butter Bundt Cake in the oven. I know that because I was poaching eggs for breakfast when I made this, and I always set the timer for 6 minutes. I had the cake in the oven before the eggs were ready. Once you wait for it to cool, you can make the ganache in the microwave in about 2 minutes, and then the peanut butter drizzle on top is also a super-fast 30-second zap in the microwave. It’s not just the cake that’s quick, the toppings are equally fast. 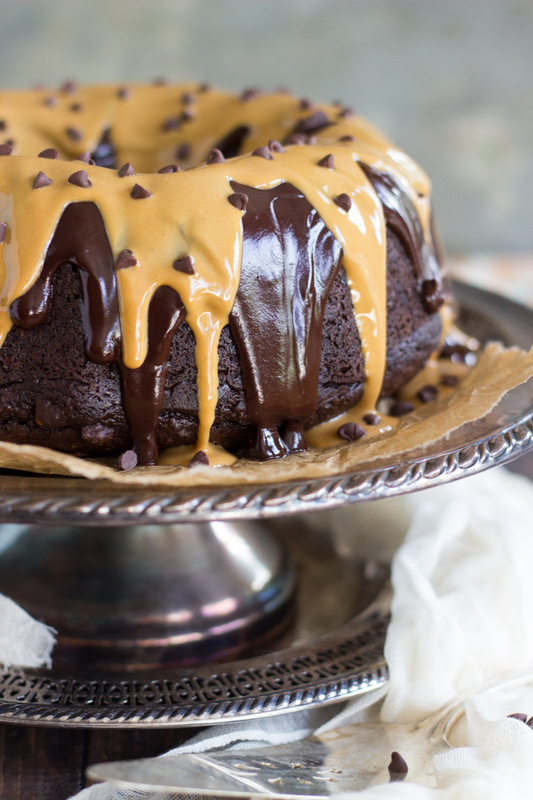 This Dark Chocolate Peanut Butter Bundt Cake is so unbelievably good. It’s actually not overly-sweet. It’s more rich than sweet, and just a sliver of it is very satisfying. It starts with cake mix, and I used dark chocolate fudge. In my opinion, there is no substitute. 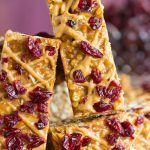 Milk chocolate or German chocolate cake mixes won’t cut it, and even regular chocolate might be too mild. Unless you don’t like dark chocolate, but for me, the key is the dark chocolate fudge cake mix because it makes this intensely chocolatey and rich. You can see the layers in this cake, right? 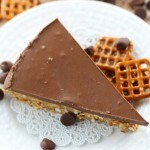 There’s a layer of chocolate ganache, topped with melted peanut butter! 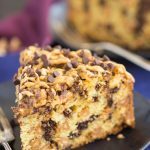 The peanut butter chips in the cake break everything up with creamy and melty little nuggets of peanut butter. They’re also a nice change in texture. 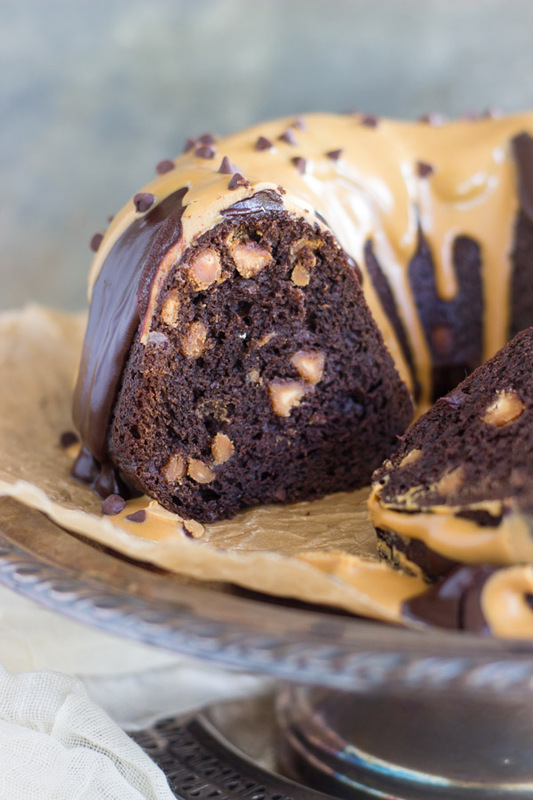 So this Dark Chocolate Peanut Butter Bundt Cake recipe is only a handful of ingredients, I swear. The cake mix is doctored up with a few items, but then otherwise you just need chocolate, cream, peanut butter… pretty standard stuff. And look what a showstopper it is. People will think you slaved all day! 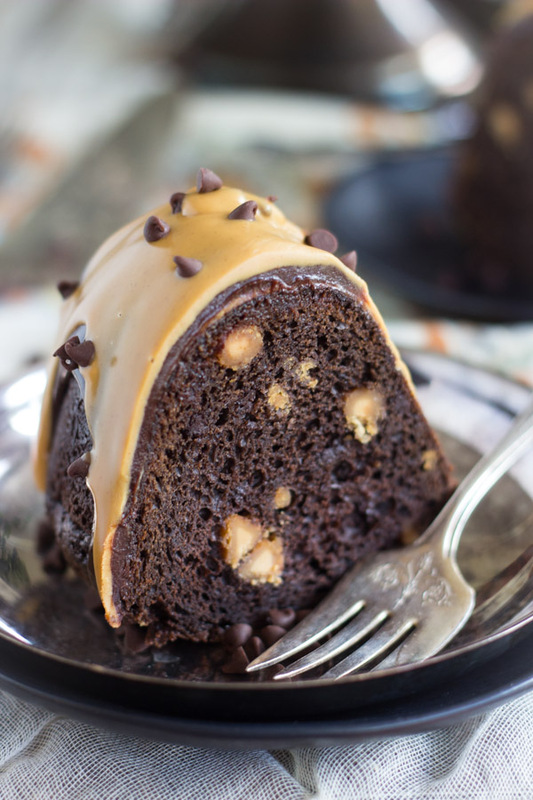 If you like this Dark Chocolate Peanut Butter Bundt Cake, I have a bunch more simple and amazingly delicious cake mix bundt cake recipes. One of the most popular is the Lemon Blueberry Bundt Cake with Lemon Glaze. That thing is ultra-popular and gets wonderful reviews. It is so moist, and the lemon flavor is so vibrant! Other fave cake mix bundt cakes that include chocolate would be this German Chocolate Bundt Cake, and this Oreo Bundt Cake. LOVE that you put peanut butter chips in the cake batter. 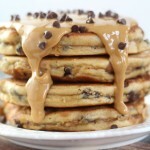 Peanut butter and chocolate are one of the best combinations ever, so we might have to make this for one of the many family birthdays coming up! Hi Dorothy: It’s at the bottom of the post! 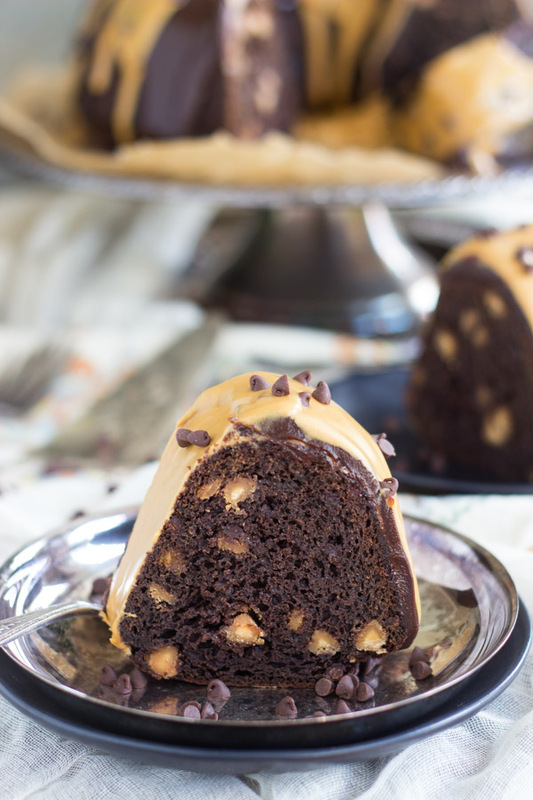 The dark chocolate peanut butter bundt cake is amazing and easy! I am not a baker and it turned out great. Thanks Sarah! Hi Sarah. I’m making the Dark Chocolate Peanut Buuter Bundt cake. I’m concern because the batter is so thick & other recipes calls for 1 cup of oil as where yours call for 1/4 cup. Have you ever tried with more oil? 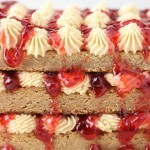 I am making this yummy cake right now to serve tomorrow afternoon. 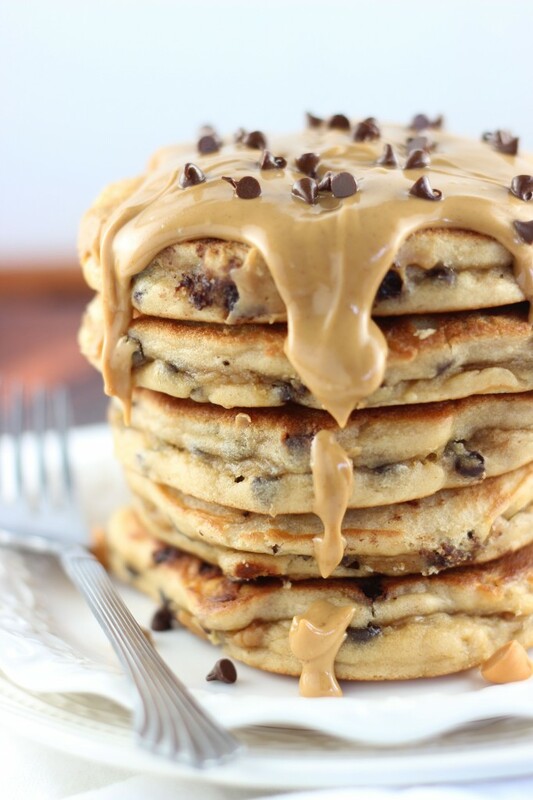 Would you recommend doing the chocolate ganache and peanut butter drizzle tomorrow morning or tonight? Maybe I’m overthinking it…. do you recommend storing at room temp or fridge? Thanks! Hi there!! I would do it in the morning so that the toppings are nice and ‘fresh’! If time allows, I think that’s probably better! I store bundt cakes at room temperature for the first day or two, and then move them to the fridge to keep them longer. 🙂 I hope you enjoy it!